If trying to get into Windows computers - whether or forgotten passwords can enter bad intentions - you have a few options. Here's how it works and how to keep your computer protected you can apply. There are several methods to break into a computer, each method has its own strengths and weaknesses. We will look at three of the best practices and most popular, listing their weaknesses so that you know how to use. Besides, we also know how to exploit the weaknesses of these methods to keep your computer secure. If you do not have access to the operating system that only a few files, you do not have to visit them all. Users can take any Linux live CD drive and drag and drop any file on the USB drive as done with other operating systems. How it works: Just download the file. Iso for any Linux operating system and then burn it to CD. Let the computer to access and boot from the CD. 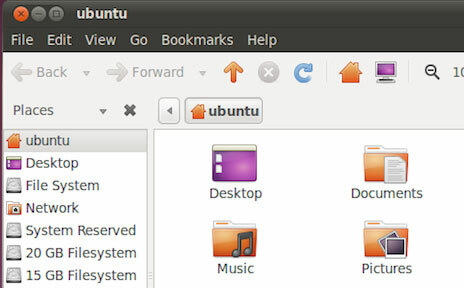 Select "Try Ubuntu" when it appears trem first screen with the menu and options will lead you to the desktop. Here, users can access virtually noise the hard drive by accessing the Places menu on the menu bar and select your hard drive. NTFS drive will be displayed to the user to select. Note that, depending on the permissions of a file, the user must have root access. If you are having problems in the open or copy a file, open a Terminal (Applications by accessing → Accessories → Terminal) and type gksudo nautilus, to blank password screen appears. Now, you have access to everything. Security Solutions: This method can provide access to the file system, but its main weakness is the bad guys can not access the encrypted files, even when using gksudo. So, if the owner of the computer (or yourself) have encrypted your files (or encrypt the entire system), you will not have to worry much. If you need to access the computer's operating system, disk System Rescue CD for Linux is an option or to penetrate. Users will have to make some statement, but if done strictly according to the instructions, everything will be OK.
How to make: Just download the iso file System Rescue Live CD and burn it to disc. Boot from the disk and click on the default choice when the blue screen appears. After everything has loaded successfully, and you see the interface command, type fdisk-l to see the drive and partition on the computer. Select the Windows partition (usually the largest NTFS partition) and pay attention to names, for example, / dev/sda3. At the next screen, select the first option by typing the number 1 and press Enter. This will remove the user password and leave it blank. When asked if you want to write the file, press y and press Enter. Then, there is confirm OK and you can type reboot to restart the computer. When you boot into Windows, you can log into that user account without a password. Security Solution: Again, the weakness of this approach is that it can not defeat the encryption. Change your password will not allow access to encrypted files in case legitimate users have encrypted your entire system. This makes the method becomes meaningless. Still, if you only a few file encryption, hackers can still access the unencrypted data without any problems. Although the two methods are easily defeated by encryption, this method will provide access to everything legitimate users can access, including encrypted file. This is because this method is based on finding the password, instead of ignoring it. Security Solution: Although this method works with the operating system is encrypted, it still can not unlock all password. In order to increase the cracked password, use complex passwords, from 14 or more characters. The stronger your password, Ophcrack able to find them as low. There are many methods into computer system Windows. However, only a few methods proven effective and widely used. Besides encryption, there are many people who use the first two methods. If you do not like the first two methods, you can still access Ophcrack. Choose your own method to log into the computer when lost or forgotten passwords. Or, consider the solution comes to security in case of computer hacking.